These workshops assist educators in acquiring knowledge pertaining to certain aspects of biodiversity which they have to teach. Educators are assisted in identifying various careers in biodiversity for their learners. These workshops aim to build educators’ knowledge around certain environmental issues and the conservation and sustainable use of natural resources. Educators are taught how to develop and conduct environmental education lessons on topics relating to their local context. These workshops assist educators in integrating various aspects of climate change in their learning areas, especially the natural and social sciences. Educators encourage learners to formulate actions to mitigate climate change. These workshops are conducted with teachers and district education officials to prepare for environmental poster and/ or poetry competitions and the celebration of environmental theme days or careers days. 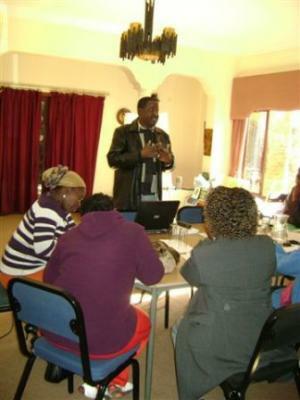 All programmes or workshops are updated annually.